“Sefirot HaOmer” by Lauren Deutsch (circles) and Aharon Varady (image), following the color correspondences of Reb Zalman Schachter-Shalomi. Each of the seven weeks and days of the Omer is represented by one of the seven lower Sephirot: Ḥesed, Gevurah, Tiferet, Netzaḥ, Hod, Yesod, and Malkhut, the creative emanations all the worlds were created and continually sustained, as taught in the Kabbalistic tradition. 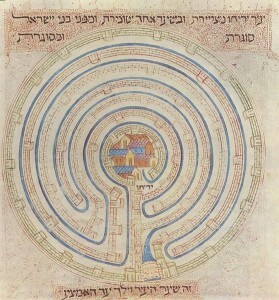 The first day of the Omer at the top left signifies “Ḥesed within Ḥesed.” The circle below representing the second day signifies “Gevurah within in Hesed,” and so forth. 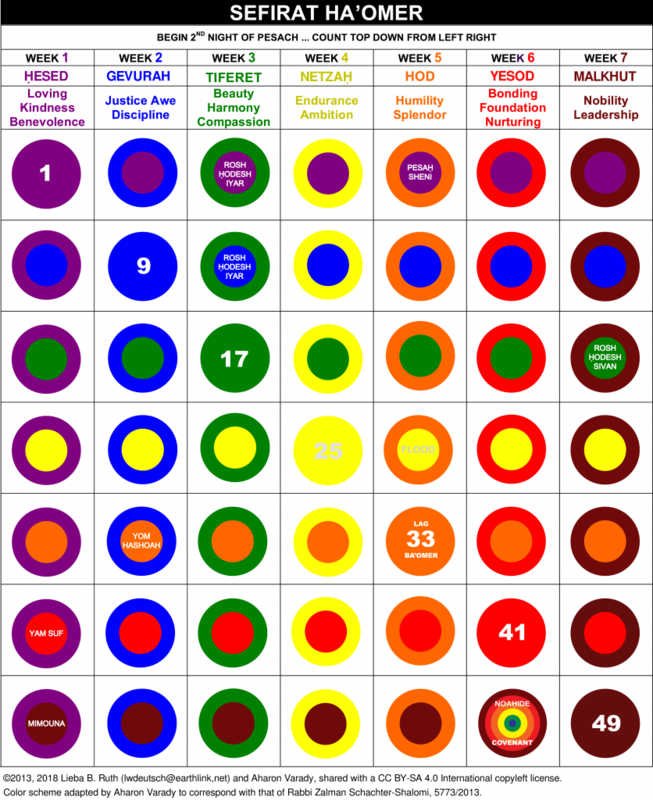 The forty-second circle on the bottom row marks the 42nd day of the Omer, Yom Keshet, Rainbow Day, which is “Malkhut that is in Yesod. Every night during the omer we say a blessing for doing a mitsvah and then say the count which leads us from Passover to Shavuot, from the barley harvest to the wheat harvest and, ultimately, to the first offering on Shavuot itself of wheat from the new harvest, in the form of 12 loaves. During the time the omer was counted, barley from each week would be brought into the Temple and waved as an offering, really as a prayer that the harvest would come in successfully. A possible reason why there is a custom not to shave or cut our hair during this time is to pray with our bodies for the growth of the wheat. Each day between the beginning of Passover and Shavuot gets counted, 49 days in all, 7 weeks of seven days. That makes the omer period a miniature version of the Shmitta and Yovel (Jubilee) cycle of 7 cycles of seven years. Just as that cycle is one of resetting society’s clock to align ourselves with freedom and with the needs of the land, this cycle too is a chance to align ourselves with the rhythms of spring and the spiritual freedom represented by the Torah. The omer count is made starting the evening of each day – when the count happens at night the blessing is said and when the count happens during the daytime the blessing is not said. After the blessing the day is counted by absolute number and by its number within each week, i.e., “Today is the thirty-third day of the omer, which is four weeks and five days” – that’s Lag Ba’omer (lamed plus gimel, ל + ג = 33). The biggest challenge of counting the omer is that it is one long mitsvah lasting 49 days. What that means is that if you go one whole night and day without counting, the halakhah is to no longer say the blessing. Making it all the way through seven weeks without missing a day is not easy for most of us! Hence, the proliferation of calendars, websites, and widgets for counting the omer. in the name of all Yisra’el. You are to count from the end of the rest day. they [the counting] shall be seven complete weeks. and commanded us to count the omer. If you are uncertain what the Hebrew date is corresponding to the Omer count, please check with Hebcal. Note that most Ashkenazim say “ba’omer” while Sefaradim and Ḥasidim say “la’omer” when counting. and may you grant us a portion in your Torah. After the count, it’s a custom to recite Psalms 67, a psalm with seven verses and forty-nine words (excluding the initial introductory verse). Each word of this Psalm corresponds to each day of the Omer count. Additionally, since the fifth verse has 49 letters, each letter of the verse corresponse to each day in the Omer’s counting. 1 For the Leader; with string-music. A Psalm, a Song. Your salvation among all peoples. Let the peoples give thanks unto you, all of them. Let the peoples give thanks to you, all of them. May Elohim, our elo’ah, bless us. And let all the ends of the earth be in awe of them. In my practice, I reflect on the Sefirat Ha’Omer as neither a linear progression, nor as a spiraling ascent towards Shavuot. Rather, I see the seven weeks as a seven walled maze or labyrinth. Just as the winter ends in fits and starts, my psyche seeks some natural rhythm to guide it along with the rest of Nature into wakefulness. I share in an ancient deep apprehension whether the fields will yield a healthy and abundant crop and whether the pregnant animals will safely give birth to their offspring.Also make sure to take note of the Karaite tradition of beginning their calendar year with the first observation of ripe barley. After Psalms 67 is read, many recite the deeply mystical piyyut and teḥinah (petitionary prayer), Ana b’Khoaḥ. Many of the themes of Psalms 67 are repeated in this prayer. Ana b’Khoaḥ, contains seven lines and forty-two words, with each initial letter forming a 42-letter name of G!D. Counting each word together with the seven acronyms formed from the first letter of each line yields forty-nine words to correspond with each day of the Omer.You can listen to different melodies for Ana b’Khoaḥ at neohasid.org. You can learn more about my take on Ana b’Koaḥ as it relates to the Omer, here. A Divine Name is formed by the first letters of אָנָּא בְּכֹחַ. These words appear below each stanza, and it is customary to look at or visualize these, and not to pronounce them. empower us, make us pure, Awesome One! watch them like the pupil of an eye. Your justness bestow upon them always. so that the lives of Your people, Yisroel, will be purified from their impurities. here say the corresponding Sefirah for the day of the Omer. and through this may abundant shefa flow [unimpeded] through all the worlds. And may it heal our lives, spirits, and souls from all impurity and impairment. May it purify and sanctify us with your most precious holiness. I adapted the Sefirot HaOmer calendar chart above from an earlier work, the Sefirot HaOmer Chart of Lieba B. Ruth (aka, Lauren Deutsch) to which I had added the 42nd day of the Omer. 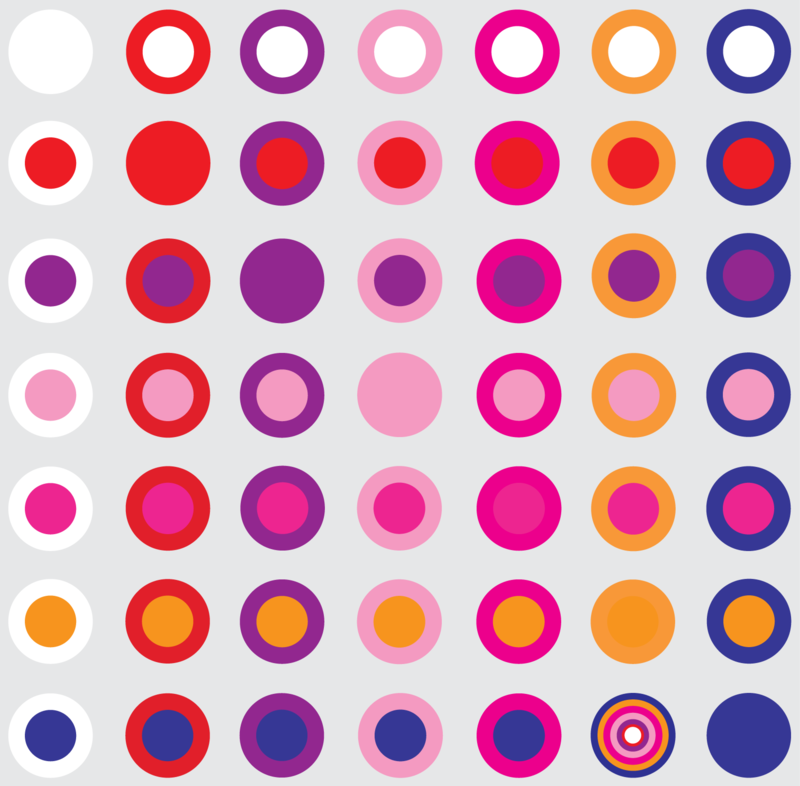 I wanted to make a version that corresponded with the color schema innovated by Rabbi Zalman Schachter-Shalomi. 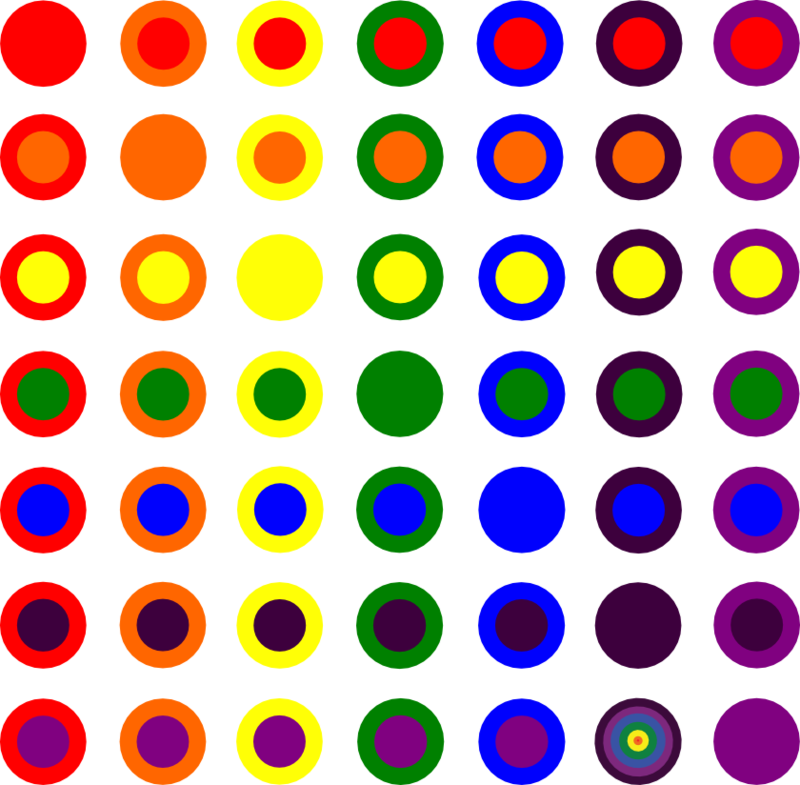 I’ve also adapted Lieba’s omer circles to correspond to the days of the Omer in Rabbi David Seidenberg (Neohasid.org)’s Omer Widget app using Reb Zalman’s color system. Many thanks to Rabbi David Seidenberg for sharing the code for his open source Omer Widget. You can see the code for the widget used on opensiddur.org, here, and the original Omer Widget code can be found on Neohasid.org, where Reb Dovid’s teachings above were first published. 4. Also make sure to take note of the Karaite tradition of beginning their calendar year with the first observation of ripe barley. 5. 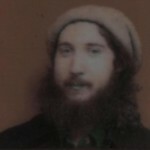 You can listen to different melodies for Ana b’Khoaḥ at neohasid.org. You can learn more about my take on Ana b’Koaḥ as it relates to the Omer, here. 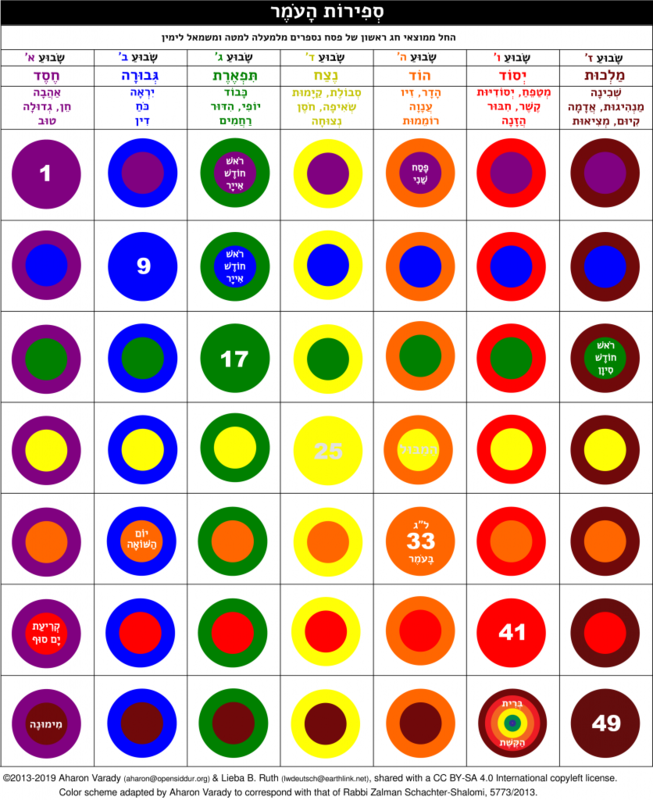 “סדר ספירת העומר | the Order of Counting the Omer in the Spring” is shared by Aharon N. Varady with a Creative Commons Attribution-ShareAlike 4.0 International copyleft license. Lieba B. Ruth is the nom du rituèle of Lauren W. Deutsch. Her FaceBook page, “Jewish and Solar Holiday Graphics”, has other new approaches to traditions for our time. A former stringer for JTA, she blogs at Trads in Contempo Life. She is an advocate of no less/more than 10 people in any minyan so there can be more minyanim, less building funds. Please reciprocate for any adaptation or redistribution of this work by (1) properly attributing the work to Aharon N. Varady and Lieba B. Ruth, (2) clearly indicating the date you accessed the resource and whether any changes have been made (and if so, please be in touch with us and leave a comment below so that we might note your adaptation or improvement), (3) providing a link back to this source, and (4) specifying the Creative Commons Attribution-ShareAlike (CC BY-SA) 4.0 International copyleft license under which this work was shared. This work was prepared and presented through the effort of Aharon Varady. Please consider supporting his work on this project through your patronage. 2013-03-30 – 20 Nisan 5773 at 6:40 pm · Reply. Lauren Deutsch’s system of color correspondences for the sefirot mainly follows the light spectrum from red to deep blue, then black and purple. 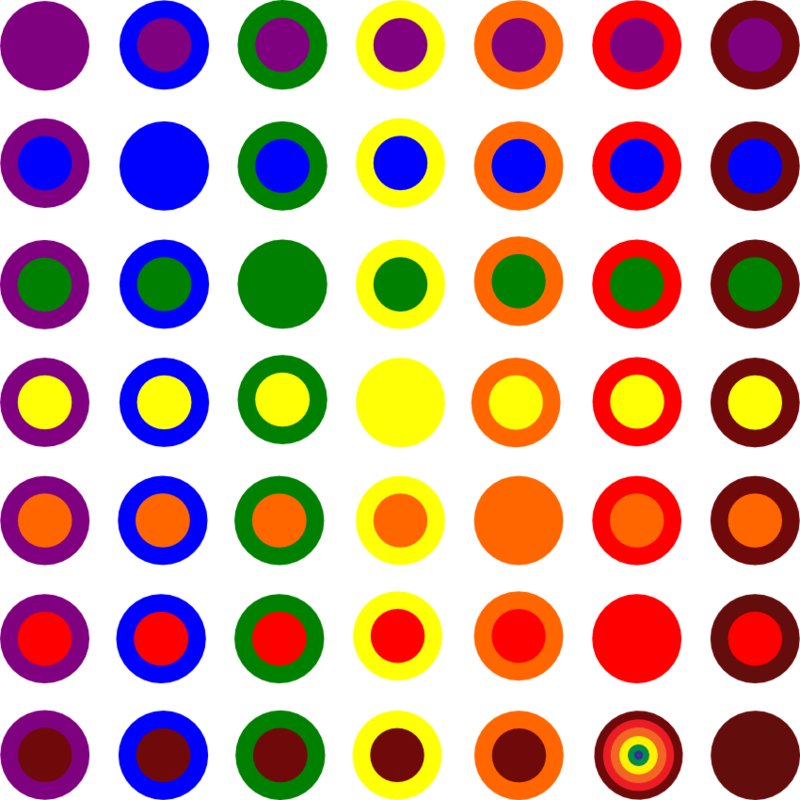 Her systems accords well with that of Mark Hurvitz’s 7×7 Color Grid for the Omer. R. David said: We are not allowed to visualize the ten Sefirot, except in accordance with the rashey perakim which reach you, such as Magen David to Ḥesed and Ḥonen ha-Daat to Tiferet. Therefore, you should always visualize that color which is [attributed to the Sefirah according to] the rashey perakim, that color being the ḥashmal of the Sefirah, the ḥashmal being the covering217 [or dress] of that very Sefirah around [it]. Afterward you shall draw [downward] by your visualization the efflux [shefa] from the depth of the river to the worlds down to us—and this is the true [way], received [in an esoteric manner] by oral tradition. 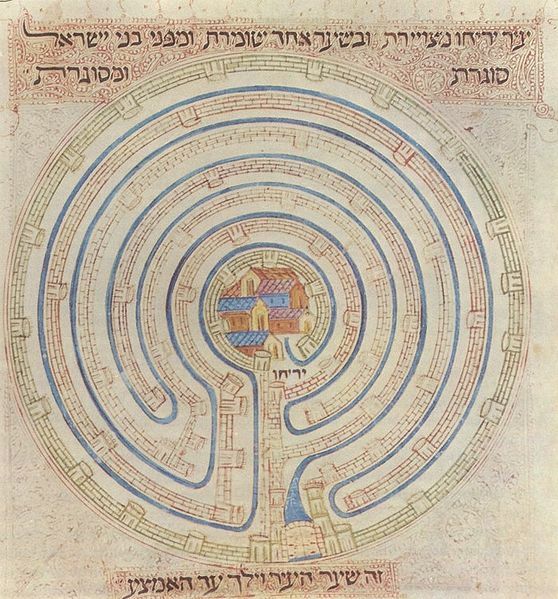 (Moshe Idel speculates that this system was probably adapted from Jewish sufis in Acco that came to Gerona in the late 13th century, adapting what they practiced from sufis that in turn adapted the system from Hindu mystics). I asked Lauren Deutsch about her system, specifically whether the color schema she used in this chart was something she learned from her teacher Gilla Nissan. She confirmed this was her own system. Andrew Shaw also reminded me of the article written by Reb Yonassan Gershom on Reb Zalman’s color schema, that also differs from that laid out by the RAMAK in Pardes Rimonim. 2014-04-18 – 19 Nisan 5774 at 8:49 pm · Reply. Wishing you a wonderful journey through the Rainbow! 2014-05-26 – 26 Iyyar 5774 at 6:21 am · Reply. 2017-05-29 – 5 Sivan 5777 at 5:40 am · Reply. GERSHOM: So, you had in mind that the “robe of light” that G-d wraps himself in to create the world, is the spectrum, that it is literally the Primal Light? [When the tallis is worn over the head] the atarah [embroidered strip) on the tallis is Keter, the Crown, the Source of the White Light, which flows into Chochmah-Binah [Wisdom-Knowledge], still white and represented by the tallis cloth as it is draped over the head.] It then then enters Chesed [Lovingkindness or Grace], which is the wide purple stripe. ZALMAN: Because it represents Bereshit, “In the Beginning,” the First Day of Creation. So the deep purple represents ultra-violet, just coming out of darkness. The lighter lavender (on either side of the deep purple) already has some light mixed in, the first light becoming visible to the human eye. And the whole stripe is very wide, because the nature of Chesed is broad and sweeping. Which is also why it needs the black lines to contain it. Now, the next stripe is tekelet-blue, representing Gevurah [strength/rigor]. This stripe represents the Second Day of Creation, when the “waters above” were separated from the “waters below.” And since is by nature a container [because it also represents halachah, Jewish law], it doesn’t need the black stripes bordering it. Following the Creation story, the next stripe is the Third Day, Tiferet [beauty]. Vegetation was created then, represented by green. G-d also said “It is good” twice on that day, so there are two green stripes, with the white light of Keter [Crown, one of the upper levels] coming through the middle. Tiferet [as the heart center] needs a vessel, so there are also the black lines. Next comes Netzach [victory], the Fourth Day, when the sun, moon, and stars were created, so they are represented by yellow. The Fifth Day was when egg-laying animals were made: all the fish, reptiles, birds, and insects. So I reprsented the sefirah of Hod [spendor] with orange, like egg yolks. Notice also that Hod and Netzach are very close together, almost like one stripe, and that they are mirror images of each other. You can’t really separate them. In fact, people confuse which is which, and there’s a lot of disagreement, some systems interpreting them exactly opposite of other systems. GERSHOM: Yes, I see how you have designed them very close together, almost like one stripe, but there is still some white light coming through between them. Like Aaron and Moses. Aaron does the Form of the ritual and also channels the blessings. Moses gives laws but also received revelation. Each has both active and passive elements, like the left and right brain, but more balanced, more integrated. That’s why you can’t really separate them, right? And last of all, we come to Malchut, the Kingdom, which is Earth, represented by brown, because all things turn brown and return to the earth when they die. King David is also associated with Malchut, not only because he was a king, but also because he received everything [an attribute of Malchut] and has nothing of his own — not even his life. There’s the Midrash that the first Adam gave 70 years of his own life to King David, so that David’s very life came from Adamah, the earth. Thus the brown color. 2015-04-09 – 21 Nisan 5775 at 11:59 am · Reply.